Harmony Gold is pinning its growth hopes on its newly acquired Hidden Valley mine in Ppaua New Guinea and is prowling the market for big acquisitions as most of its South African operations were nearing the end of their production lifespans. It would focus on Hidden Valley, as its other mines in Masimong, Kusasalethu, Unisel and Bambanani were left with less than five years of mining. Chief executive Peter Steenkamp said on Thursday, besides actively pursuing assets, the company had a solid plan for Hidden Valley. He said Harmony planned to produce 180 000 ounces of gold a year for seven years at the mine to achieve a total production of 1.5 million ounces a year across the group in two years time. Last year, the company bought 100 percent of Hidden Valley, a gold and copper project in Papua New Guinea, after buying out its partner, Newcrest Mining, Australia’s biggest gold producer for $180 million (R2.42 billion). The company previously had a 50 percent stake in the Papua New Guinea mine. Steenkamp said the company would focus on strong operational performance and create further value. Steenkamp added that Harmony revenue, including the gold hedge for the six months ended December, increased by 3 percent to R9.8 billion. He said the group’s total production profit decreased to R2.4bn in the period from R3bn from the comparative one. 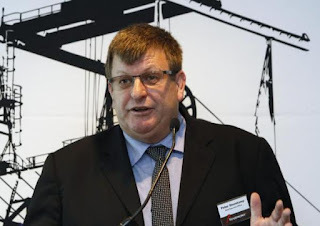 The company said it realised R233 million in profits from the gold hedge while group headline earnings increased to 150cents, up from the 100c from the comparable period. Steenkamp said the company reduced its net debt from R1.1 billion to R289 million at the end of December. He said the company would take a measured approach as it scours the market for acquisitions and would refrain from overpaying for its targeted assets. Harmony declared an interim dividend of 50c, its first since the six months to the end of 2012.